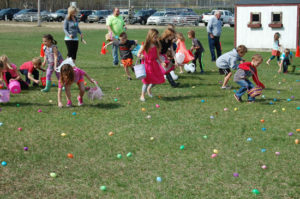 The Town of Wheatland Fire Department Auxiliary Annual Easter Egg Hunt will take place Saturday, April 20 at 10 a.m. sharp. Arrive before 10 a.m. to make sure you don’t miss out. The egg hunt will be held at the Town of Wheatland Fire Department Firehouse in New Munster. Ages 10 and under are welcome to participate. Bring your own basket. This is a free community event sponsored by the Town of Wheatland Fire Department Auxiliary.